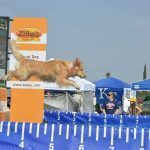 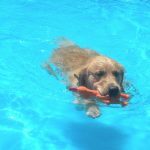 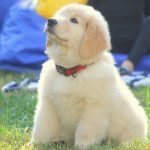 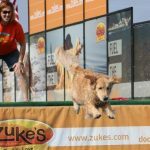 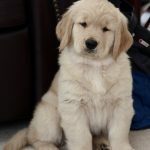 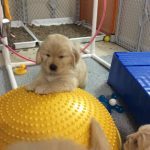 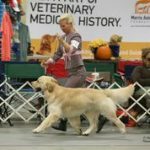 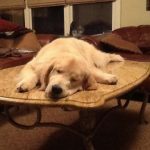 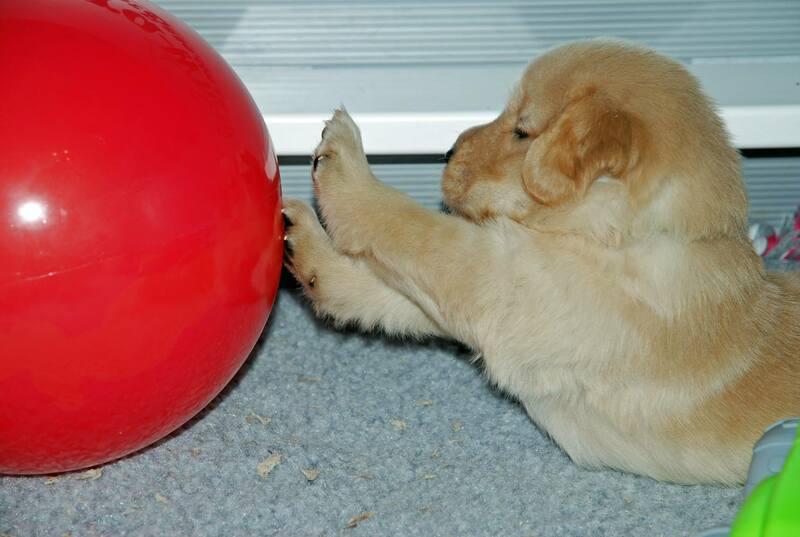 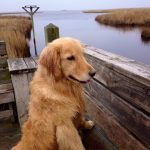 Carova Goldens are raised in our home and provided with mental stimulation and physically challenging activities that develop body and mind. 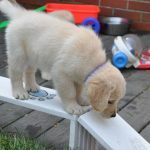 Getting off on the right foot in life is critical for adult hood. 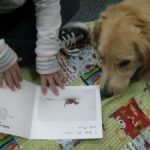 Great beginnings with me, and continuing education with you, equals unlimited possibilities for the future. 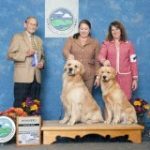 I am a very lucky breeder. 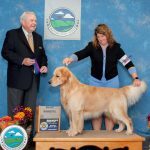 Every family I have placed a show dog with are new to the sport of showing dogs. 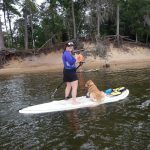 I am thrilled to be able to introduce them to a sport that few really understand. 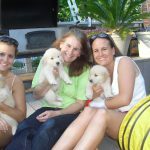 As you can see from above, Carova dogs swim, roll in mud, do therapy work. 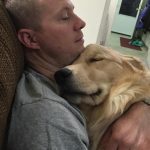 In short, they live life to the fullest and are family pets above anything else. 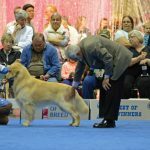 Some owners enjoy sitting back and watching their babies while others enjoy a more hands on approach and show their own dogs. 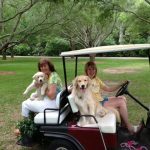 Come join the fun and meet life long friends along the way !! 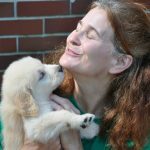 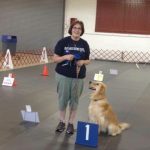 Meet Professional Dog Trainer and Breeder, Nancy Cronce. 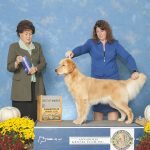 I prepared for six years for her first litter, so that when the time was right, I would have the skills needed to whelp a litter and get each pup on the right road for the future. 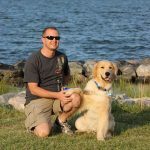 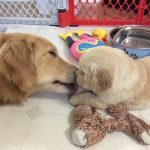 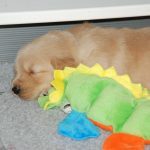 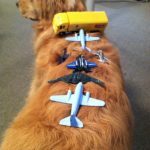 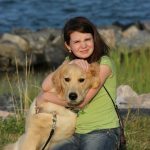 As a professional dog trainer, I know how important the breeder’s role is in helping puppies get through developmental stages and off on the right foot. 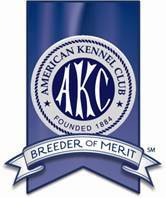 In addition to breeding I hold the following certifications and memberships. 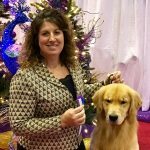 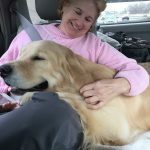 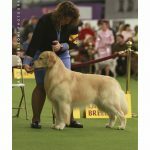 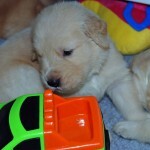 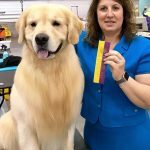 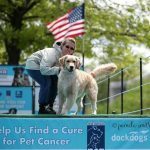 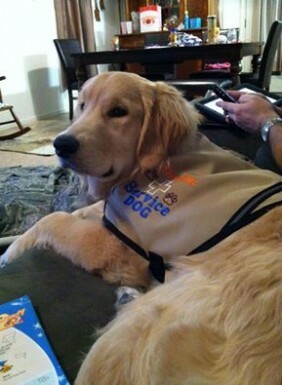 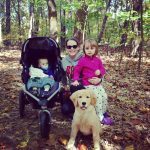 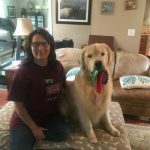 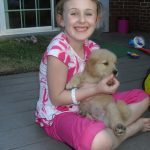 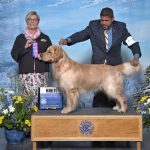 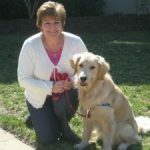 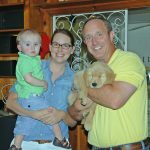 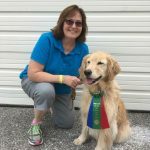 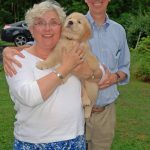 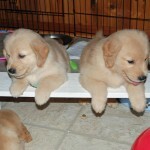 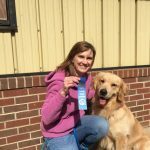 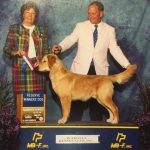 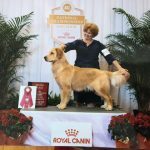 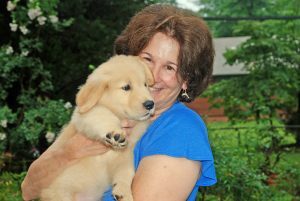 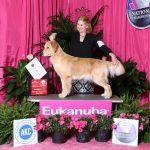 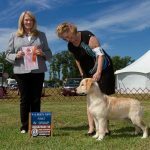 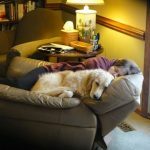 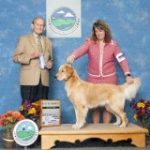 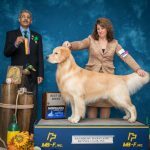 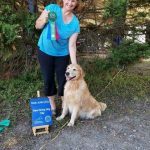 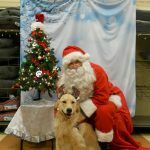 Nancy Cronce, CPDT-KA, is the founder of Carova Golden Retrievers.